Occasionally, you attend a gig when the marketing hasn’t gone quite the way it was supposed to and through no fault of the artist the missing element is an audience (well one of meaningful numbers anyhow). Yet it is amazing how many times the artist being witnessed composes themselves and turns in a memorable performance. This was my introduction to the wonderful music of Eileen Rose a few years back when a tour of the country’s soulless Barfly venues didn’t quite go as planned. On that evening Eileen was promoting her AT OUR TABLES album which was also followed up by LUNA TURISTA a year later in 2009. 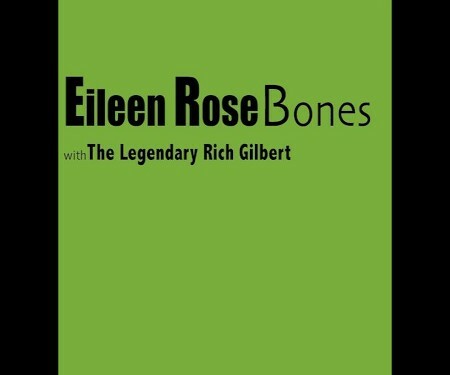 After re-locating to Nashville, and immersing her world into the Silver Threads honky tonk project, Eileen Rose is now back as a recording artist and, as a prelude to her upcoming new album, she has released a stripped down collection of songs appropriately titled BONES. This gritty back to basics album comprises of six carefully selected favourites from her back catalogue and four new songs being previewed ahead of the new complete original release later this year. This album is perfectly timed to coincide with a short UK summer visit as Eileen seeks to re-establish herself in a country where she spent many fruitful years after first leaving her Boston home. Once again Eileen has teamed up with one of Boston’s much lauded musicians ‘The Legendary’ Rich Gilbert to capture his recording, producing, mixing and playing skills thus ensuring this album can stand up alongside her previous releases and not just being a makeweight. Eileen Rose has absorbed and oozed so many musical influences throughout her career, that the term ‘Americana’ could have almost been created for her. However for me, it’s the unmistakeable vocal style that lines real world experience with a touch of elegance and the innate ability to reflect a little country, blues, soul and rock. Her song writing is not to be underestimated with the bulk of the oldies selected for the stripped down re-working here displaying all the traits of a timeless quality. Of the four new songs, ‘Space You Needed’ is a simple acoustic accompanied relationship reflective song with a demo feel which may or may not evolve into a spruced up number. ‘She’s Yours’ is a laid back jazz/blues lounge effort with a touch of fiddle joining bass, guitar and light percussion in decorating Eileen’s successful attempt to add a little elegance to her vocals. ‘Wake Up Silly Girl’ pays respect to a country sound with Rich adding some sublime pedal steel while the most intriguing new track is the delightful and very Latino ‘Each Passing Hour’. Here Eileen and Rich have explored a new sound and experimented with castanets, accordion, trumpet and fiddle with the end result being an extremely well put together and enjoyable song. It will be interesting to see how Eileen develops this sound when the new album emerges. 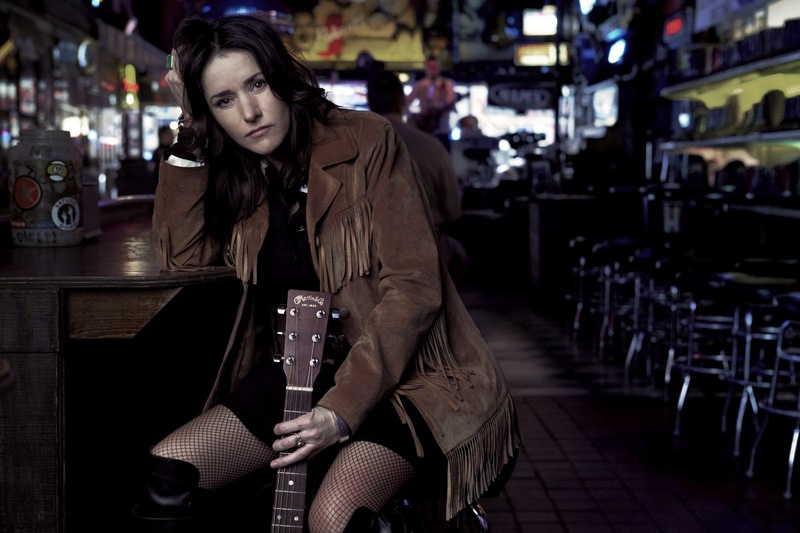 The album’s remaining six songs are spread across four of Eileen’s five previous albums. The passion, sincerity and depth of each re-working will make these a welcome addition to the collection of new and old fans alike. 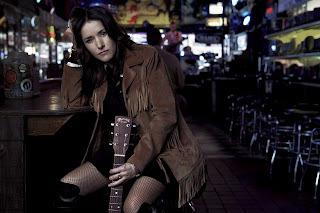 ‘Sad Ride Home’ is the representative from her most recent album LUNA TURISTA while the outstanding ‘Old Time Reckoning’ heads a trio of songs from AT OUR TABLES. Hearing this stripped down version live will be one of the summer’s highlights (assuming it graces the set list!). ‘The Day Before’ and ‘Seven Winds’ are the other choices from this album. Eileen has gone back a decade to re-visit her ‘turn of the millennium album’ SHINE LIKE IT DOES to record a version of ‘Shining’ with what sounds like a banjo accompaniment to this five minute number. ‘Stagger Home’ from COME THE STORM concludes this presentation of some of Eileen Rose’s finest work with its anthemic qualities getting the peeled back treatment. So Eileen has announced her return with an excellent interim release that will no doubt be the centrepiece to her UK shows this summer including her much awaited Maverick Festival slot. The ability to make quality music never leaves a quality artist and hopefully there is much more from Eileen Rose in the future. In the meantime, enjoy BONES for what it has aimed to do.